Who really knows why they came out with this report. It’s likely to try to move more people over to their causes, the social justice warrior type outlooks, the socialism, communism-type thought-police movement that demonizes anyone who thinks differently than they do. Regardless of their insidious intentions, they’ve actually laid out exactly what you SHOULD BE, and should aim to become by describing masculinity by such virtues. Of course, traditional masculinity is a blessing. Its virtues have helped create and defend freedom. They’ve helped a culture and species evolve to create the greatest, easiest quality of life in our history. It defends homes, builds buildings, roads, and bridges. We’re better off with more traditional masculinity, not less. As far as the virtues they demonize, if you’re to live a good, happy, and most of all, successful life, you need these virtues – among others – in spades (I just made a post about this on instagram, like and share it here). If that’s toxic, be that. You will not live a good life if your emotions control you. That’s stoicism. It’s taking control of how you react to events rather than having them ruin you and control your life. It’s the path to happiness, success, meaning, fulfillment, and purpose. You will not provide for your family, feel fulfilled, or benefit your society if you’re not competitive. You will not improve who you are – which is why we’re here, to become better today than we were yesterday – if you don’t have any competitive bone in your body. Our society will also not improve without competition. Dominance is simply leadership. You take command, you lead, you lift others up with you. You need to be dominant. 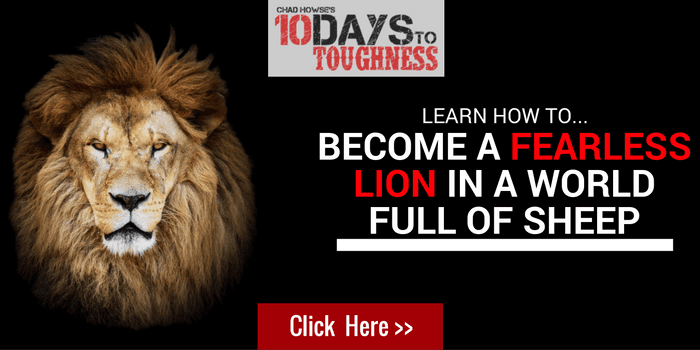 You need to be a force, an alpha male, a leader. If you do not lead, someone worse will, someone weaker, someone who isn’t as good as you are, will take the reigns and dominate. You also should not ‘attempt’ things. Do not try, do. Dominate your competition. That’s the act of winning. Why do anything if you’re not going to go all in? It’s the antidote to fear. You will not live a good life if you’re timid and afraid. Your fears need to be met with aggression. Aggression is a powerful tool, without it you’re a victim to others, and to your fears. Aggression is also necessary to defeat those who oppose you, those who aim to do you or your loved ones harm. Use it. All of the great men in history, who led us to prosperity and peace, would be called toxic by today’s standards. Theodore Roosevelt, Churchill, Be great. Don’t be soft.